Hello gentle readers. 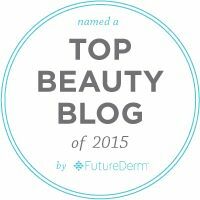 Today I have a beauty review to share with you. I was recently in my local Walgreen's searching in vain for the Wet-N-Wild LE Dream Weaver eye shadow palettes when I came across their Glassy Gloss Lip Gels. Always ready to try something new and having heard a few nice reviews about this product, I was up for a test drive. Photo Source: Wet-N-Wild official website. I borrowed this photograph from the Wet-N-Wild website because I wasn't certain that I was going to review this product and didn't photograph my own glosses. I picked up two shades of the Glassy Gloss Lip Gel; This Too Shall Glass and Glass Confusion. They were very reasonably priced at $2.99 each. About these Lip Gels the website says: "Ultra glossy, sheer gel adds high shine with a hint of color in an oh-so lickable fruity flavor. Enriched with vitamins, nutrients, oils and antioxidents to moisturize while keeping lips soft and supple". 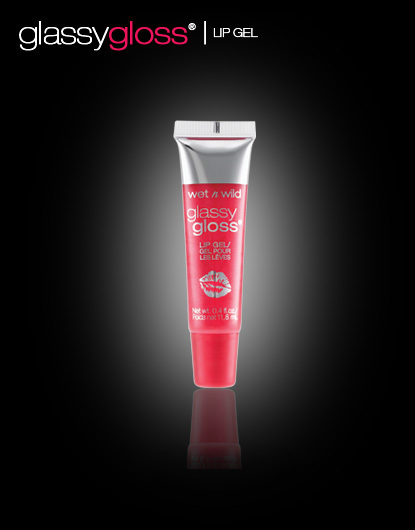 Glassy Gloss Lip Gels are packaged in soft plastic squeeze tubes with an angled plastic applicator end. I was not too wild about the delivery of the gloss. The shape and size of the applicator end was awkward; it was at a bad angle to the shape of the tube, rather than being properly aligned and didn't smooth the gloss evenly across my lips, leaving it streaky and globby in spots. I had to use my finger to smooth it out properly. Not a huge deal, when I am at home where I can grab a tissue to clean my finger but it would have been a problem if I had taken it out and about with me. The texture of Glassy Gloss Lip Gels is somewhat thick and when applied to the lips, it feels pretty sticky. Now, I am one of those strange creatures who doesn't really mind a sticky gloss all that much. Must be my early lip gloss experiences in the late '70s. Anyone who grew up wearing Kissing Potion knows what I am talking about. ;) But if sticky gloss bugs you, you probably won't like this stuff. Like most glosses, this one isn't very long lived on the lips. I don't expect gloss to last a long time, so that was certainly not a mark against it. These glosses felt pretty smooth on my lips. Many bargain priced shimmery glosses can feel a bit gritty on the lips, these didn't. These glosses have a light, sweet, faintly fruity scent and taste. They aren't overly strong and they certainly didn't bother me. But if you are sensitive to scented products or simply don't like scents or flavours in your lip products, these will probably not make you happy. 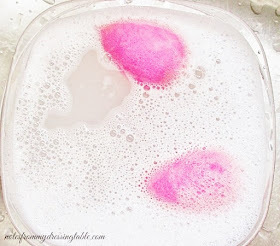 I liked the colours, I didn't mind the stickiness and I could have lived with these glosses being something I wore at home and could smooth out with my finger, but what I couldn't live with was how badly they dried my lips. Now, let me make clear that this may not be the fault of the gloss. I have weird lips. Many, many products that claim to be moisturizing to lips; balms, lipsticks, glosses... Products that do soften and moisturize most peoples' lips dry mine out terribly. I must react badly to a certain ingredient in many of those products. I just don't know which one it is. I wore each of these glosses once and after each wearing, my poor lips felt like the Sahara. Dry, tight, nearly chapped. Pros: Soft, pretty pink based shades that should be flattering to a wide range of skin and lip tones. Shimmer that isn't gritty on the lips. Light, sweet, slightly fruity scent and taste that I enjoyed. Decent, if fairly short life on. Cons: Streaky, gloppy application thanks to the delivery system. I had to use my finger to smooth these out properly. These glosses were terribly drying on my lips, one wear of each and my lips were screaming for mercy. Sadness. I had high hopes for these glosses. I love Wet-N-Wild's Coloricon eye shadow singles and palettes and I had hoped that I would love the glosses as much. I ended up returning these to Walgreen's for a refund.